Is the water coming out of your faucets and shower head freezing cold? Call S.L.S. Plumbing Heating & Cooling at 630-495-0960 to receive reliable Lombard water heater services right away! 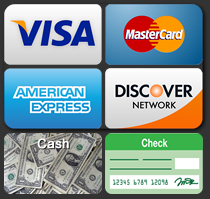 Click here and save with our coupons and deals. A water heater is necessary to provide your home with hot water for washing dishes, for showering, and for using different appliances in your house. It can be quite an inconvenience when the water heater breaks down and can result in significant water damage. The experts at S.L.S. Plumbing Heating & Cooling can assist you in resolving your problems with courteous and professional water heater services. Have a look at what our happy and satisfied customers have to say about our water heater services here. Call S.L.S. Plumbing Heating & Cooling for fast professional service at a great price! What could cause water heating issues? Electric Water Heaters: Electric units are comprised of one or two elements, extended from inside the water heater to the outside of it and along its sides. These elements heat up to make the water warm and control the heat of the water. When these elements wear out, the water does not heat up or turns cold too quickly, which can be a major problem. Gas Water Heaters: The most common issue with gas units is that the pilot light may go dark. When this happens, the pilot light needs to be ignited with professional help. The thermocouple also needs to be serviced to check whether it is functioning properly. This could lead to the water being heated by the gas water heater to be cool or cold. Thermostats: The gas units as well as electric units have a thermostat that determines the temperature of the heated water. The temperature of the water could be too cool if the thermostat needs to be reset or replaced. Wear & Tear: The water in the tank of the heater could become rusty in color due to the accumulation of sediment. To solve this problem, the water tank needs to be properly flushed. The minerals in the water can also corrode the steel in the water tank over time and cause it to leak. Crack in the tank: If you see water puddling on the floor around you water heater there is a good chance that your tank has a crack and must be replaced. Our Licensed plumbers can provide you the most reliable repair solution in no time, regardless of what the problem with your water heater is. How long does a water heater usually last? The regular water heater with the conventional water tank has a life of about 8 to 12 years. If you have the water heater regularly checked and maintained by a professional plumbing service, you may be able to make the water heater last about 10 to 13 years. When should you replace vs. repair your water heater unit? Before you decide on whether your water heater unit should be replaced or repaired, you must consider many things. First, it is important to keep the age of the water heater in mind. Repairing the water heater is ideal if it is a newer model, but an older one will most likely need replacement. In most cases, a leaking water heater needs replacement as it is more cost effective to replace the water heater with a newer model than to have the old one repaired. The broken thermostat, failing element, or an ineffective valve stick can be fixed to make the water heater work again. The blown-out pilot light can also be relit by our technicians. Our experts can help you solve any problem with your water heating unit with professional services and sound advice. With regular maintenance and care, you can keep the water heater in optimum condition. With the help of professional plumbers, you can schedule maintenance checks to avoid sediment accumulation in the water tank and have it properly flushed. We can also assist you with expert repair services if required. 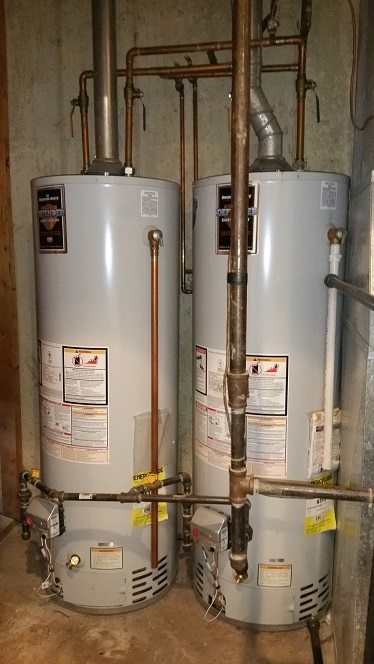 If the repair costs seem higher than replacement costs, we can help you select and install a new water heater as well. Our industry grade technicians will ensure that the water heater is installed perfectly. You can contact S.L.S. Plumbing Heating & Cooling for all your Lombard water heater repair or new installation services. Give us a call at 630-495-0960 to schedule professional maintenance, replacement, and repair solutions right away!